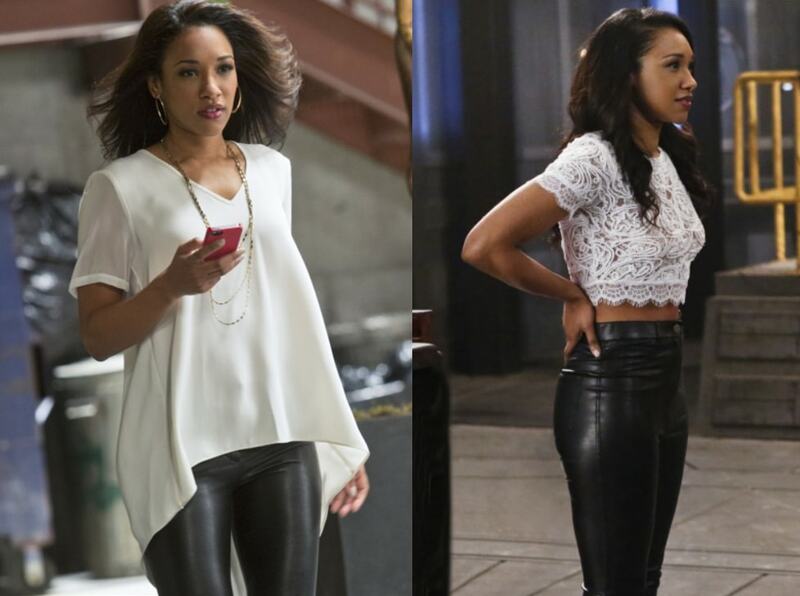 Iris West has been a fashion inspiration for seasons now. Here’s a look into her stylish wardrobe. 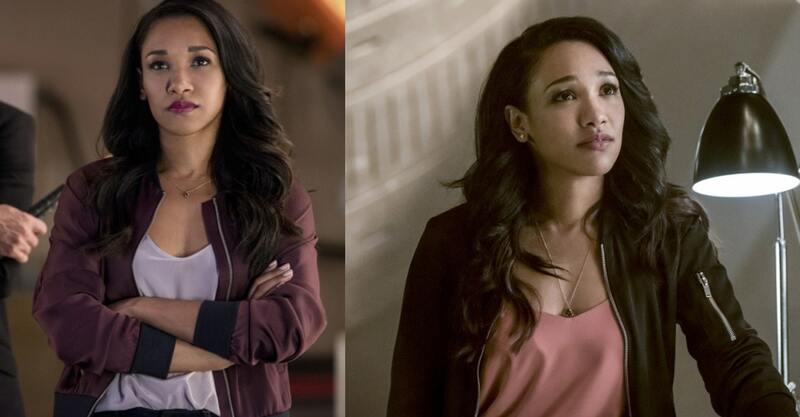 Whether she is working with Team Flash to stop the latest metahuman or digging for a news story, Iris West (played by Candice Patton), of CW’s The Flash, never misses a beat in life. Same goes for her flawless sense of style. Though I am an old school comic geek at heart, I do love to tune into the The Flash every Tuesday for Iris’s outfit inspiration. 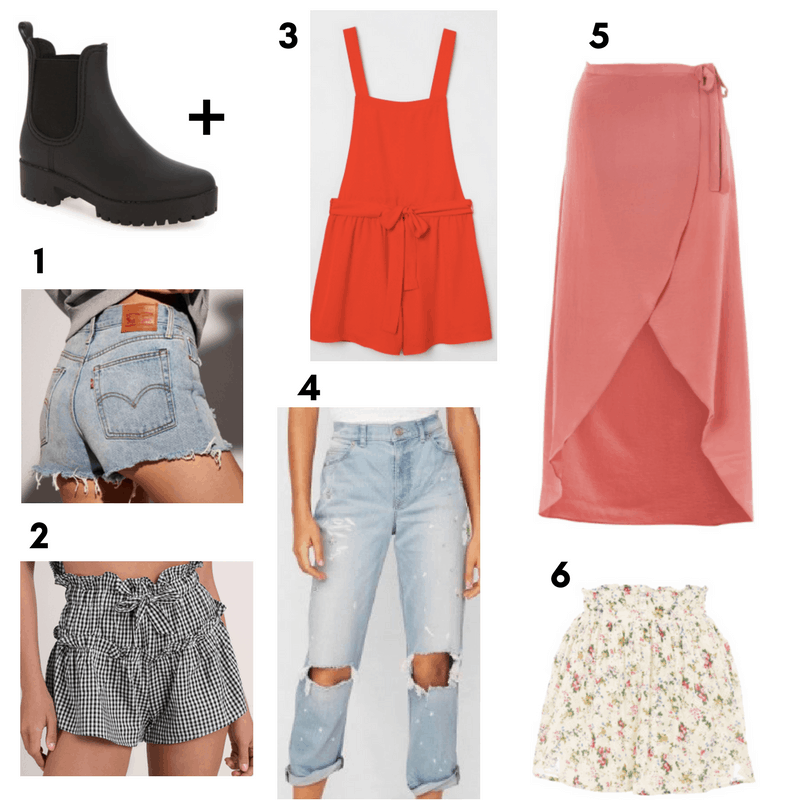 Iris West’s style is right up my alley: It’s minimal and chic, yet stays fresh and fun with select trends and pops of color. 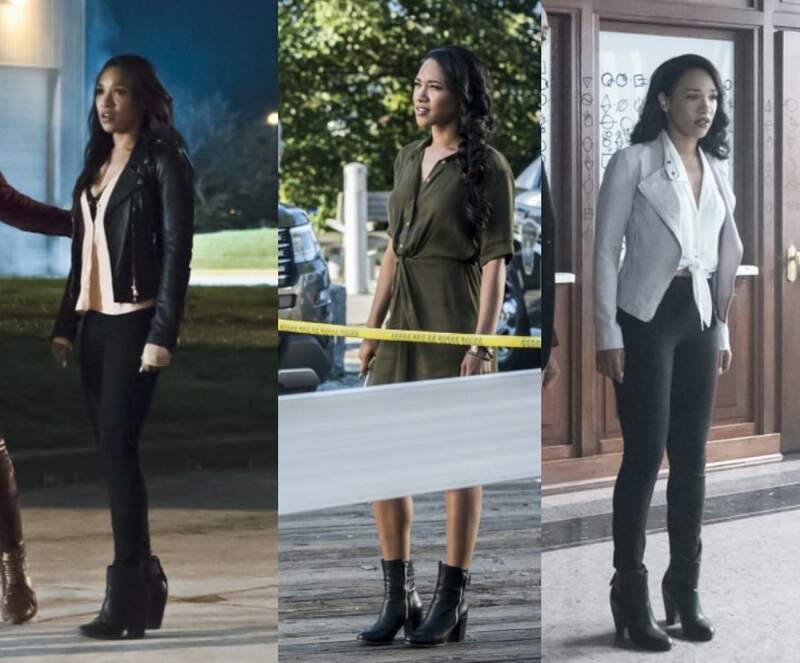 Today, I’ve highlighted the seven key pieces you need to get Iris West’s style, based on some of her most beloved outfits from the show. A moto/biker jacket is a great closet staple. Iris’s moto jackets add a toughness to her style and represent her feisty, headstrong attitude. Adding a statement jacket to your look is an effortless way to upgrade any outfit. Iris seems to do this a lot — you’ll see that many of the pieces mentioned today are of the jacket variety. Iris’s black leather pants are my favorite staple in her wardrobe. 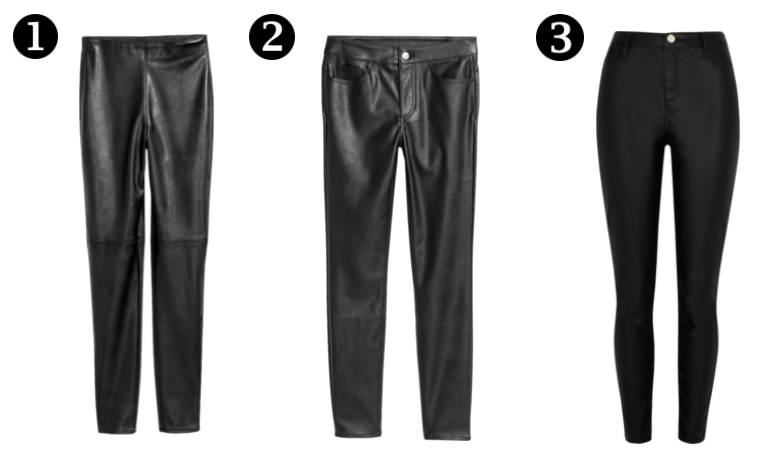 Leather pants seem like such a bold piece, but when paired with chic basics, they give off a subtly stylish vibe. Iris usually styles her leather pants the same way she would black jeans, but she especially loves to wear them with outfits where more texture and contrast are needed. For example, in episode 2×20 the leather pants are worn with a lace top (seen above) for a girly-meets-edgy contrast. You cannot go wrong with a killer pair of ankle booties for a comfortable hint of height and style. If she’s not wearing her classic stilettos, Iris has on a pair of black ankle booties to ensure her outfit is chic and put-together. A button-up blouse is another no-brainer for just about any wardrobe. I like the way Iris has styled hers in the photo above left, with just a simple knot at the bottom. This gives off a cropped and fitted look. When you are styling a basic piece like a button-up shirt, try wearing it in different ways to make it fit your personal style. Iris tends to show some skin in most of her outfits but she usually does it subtly with a simple v-neckline cami. A loose-fitting v-neck camisole is a classy, somewhat professional piece that every girl should own. It’s the ultimate layering staple: As you can see, many of Iris’s outfits incorporate v-neck camis of different types. Iris’s blazers give her looks a nice touch of sophistication. 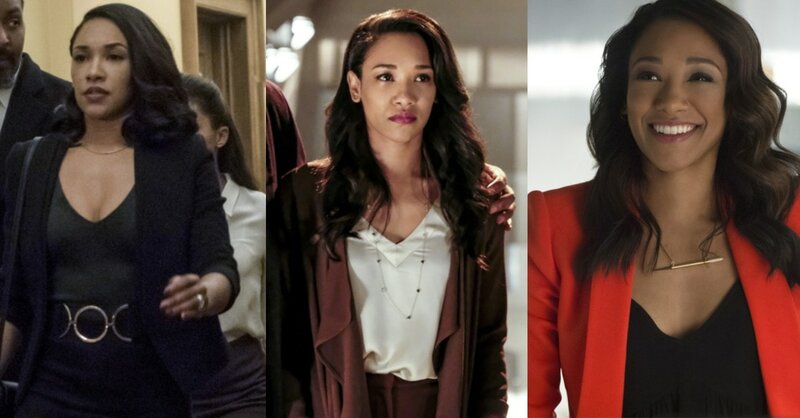 However, Iris rarely wears a classic black blazer — instead, her blazers always have some kind of unique element, whether it’s an unexpected cut or bold color. Iris tends to wear cropped bomber jackets with pencil skirts. I love the contrast inherent in this pairing — the bomber jacket adds a sporty touch to the polished skirt. This is an example of Iris incorporating a trend into her look, while still staying true to her style. In this case, she pairs edgy bombers with sultry bodycon dresses, prim pencil skirts, and flowy v-neck tops. The lesson? Trends are easy to pull off when you make them work with your personal style. Do you watch The Flash or any of The CW’s superhero shows? 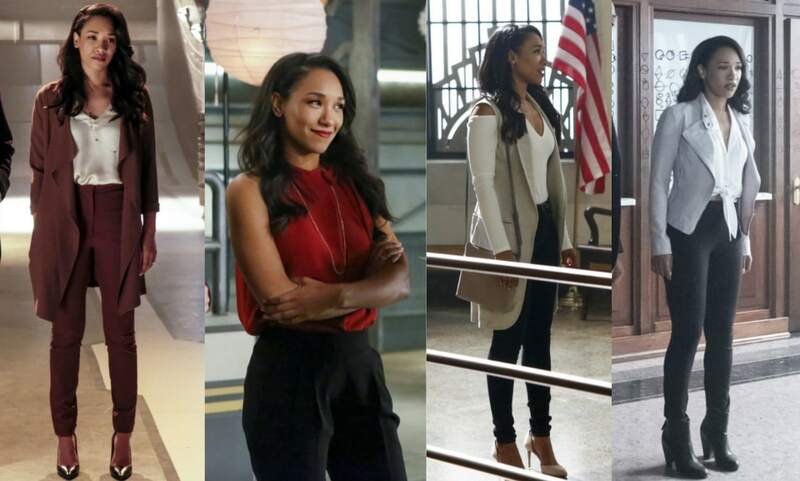 How do you like Iris West’s style? Would you want to see more style guides for TV characters on CF? Let me know in the comments below!